Wastewater generated in the Eugene/Springfield metropolitan area is cleaned at the regional wastewater treatment plant. Industrial wastes, which may contain pollutants that could interfere with the operation of our treatment plant, are regulated by the City of Springfield Industrial Pretreatment Program. Significant Industrial Users are regulated through permits, which require sampling and analysis, general compliance monitoring, spill control plans, and on-site facility inspections. The regulation is needed so that industrial wastes don’t inhibit or reduce the efficiency of the treatment plant, or make it hard to produce beneficial biosolids, or even reduce the amount of reusable effluent (the outflow from a treatment plant). The program must also monitor industrial discharges in order to prevent pollutants from passing through the treatment plant and harming the environment or threatening public health. 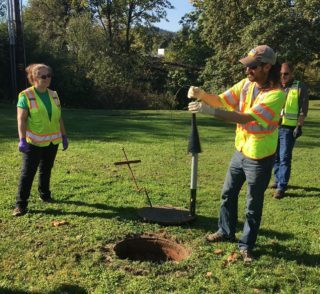 Do I need special authorization to discharge from groundwater clean-up or other sources into the sanitary sewer?